I absolutely love this!!! I was going to buy it from another company and then luckily I foundit at Miles Kimble for cheaper price and I use it every day! Now I can get lotion all over my back to reduce skin itchiness in the winter. I've purchased several for gifts. This item has been life changing for me as well as for several friends I've recommended it to! No more itchy back that I can't reach w/lotion!! sandra - who ikes to help others. I bought this as a gift for a friend who wanted a way to apply a menthol grease to his aching back. He said it works good for that purpose. Got two of them. One for each of my Sisters. They love it. this is a great way to moisturize difficult places to reach. My back is always dry and itchy and with no one around to put on lotion for me on my back this item was the perfect solution. Very easy to use and clean. Can be used with any body lotion or sunscreen. Love this item so much I bought 2 more for my sisters. Applying lotion on the back is never easy...this product helps in that department. This does work for putting lotion, etc. on your upper back and places you might not be able to reach to apply lotion. I am pleased with this product. This applicator is very nice. Gets the cream on nicely. Very smooth on my back & the back of my legs. Use this product to reach your back. Provides instant relief to itchy back. I'm really old & live alone and, while I'm able to oil my various body parts with ease, this did not include my back which got quite dry & itched. This was particularly bad after chemotherapy (I'm a cancer survivor). I've tried a number of products & techniques to get lotion on my back - by myself! - but none of them was satisfacotyr until I found this applicator. Perfect! Thank you for the the lotion applicator of my dreams! At last, I can reach between my shoulder blades to apply lotion to my dry skin. I use it on my whole back and arms now. Since I'm 70, I don't have to wait for my sister to visit and apply lotion. It's lightweight, easy to use and really does the job, in just seconds. Thank you. My back is always itchy & needs moisturizing. I can't reach. This product has totally solved that problem. The long arm is terrific & the roller balls place just the right amount of product. I like mine so much I ordered some for friends. I have used these for years. They are great for applying lotions to those itchy places on your back or just giving yourself a lotion application anywhere you can't reach. I had to replace mine when the plastic cover cracked and the lotion would get dried out. I keep an extra one just in case they stop making them! It is so easy to apply lotion to the upper part of my back where I could not reach by myself. No more dry itchy back. This is awsome for a single person to use. It's like an extra hand. It is a great product when you have dry skin and can't reach!!! Put your own lotion in and it works great!!! My husband and I both use this lotion applicator and it is great for getting to the center of the back that is so difficult to reach! Now not having that itchiness is wonderful! Very efficient. Fits the purpose. Purchased this for my mother ... She loves it. I absolutely love this applicator. I live alone and cannot reach the middle of my back. My skin is dry and needs lotion. 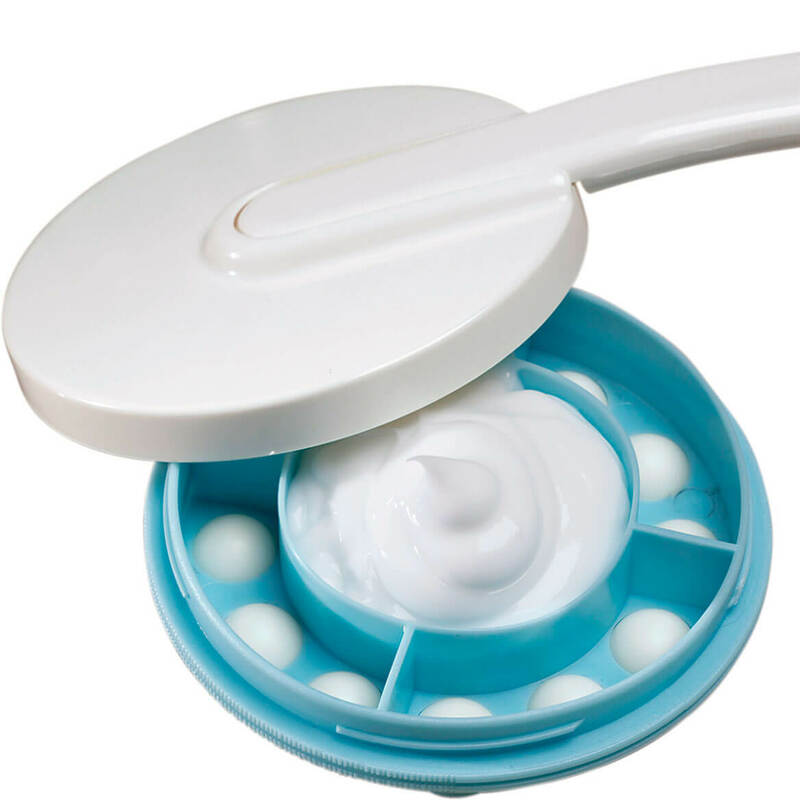 This applicator is easy to fill and easy to use and it feels heavenly to get some lotion on my back. I jusT wish I would have seen such an applicator years ago. I am thankful that Walter Drake carries it and all I can say is "THANK YOU SO MUCH". Purchased this for my husband. He likes it and says it is easy to use. Great for getting lotion on my back in those harder reach places. I did recommend it to a friend. Love this I have used one of theses for years and wore it out and so I got myself two and a friend one. Just what I need to reach dry skin on my back. This is my second time I bought this product as my other one was taken over by my mother.. 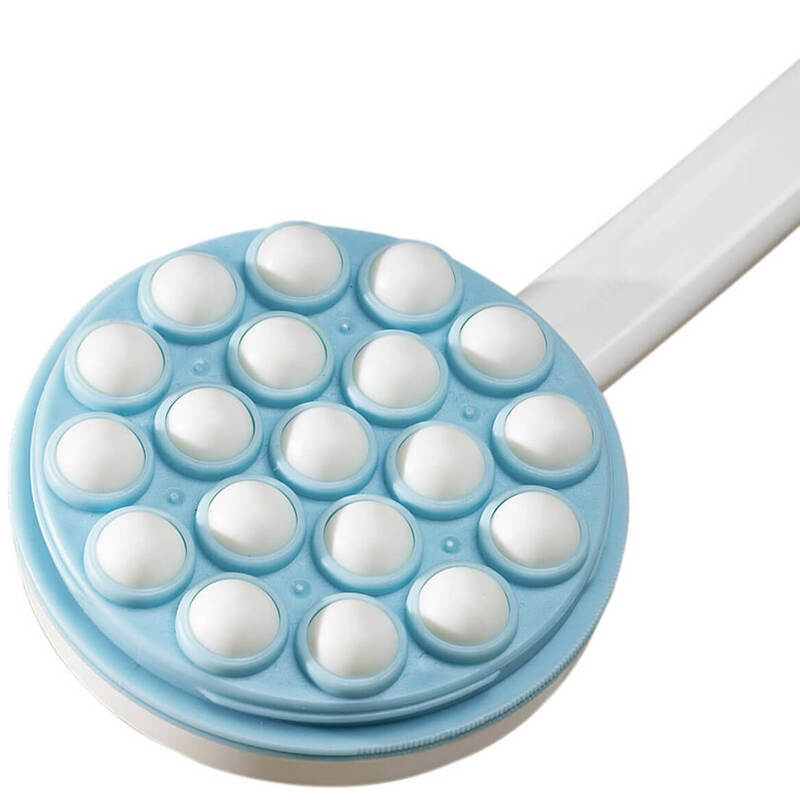 It is perfect for your back or anywhere else as there are little balls that roll over your skin dispensing the lotion. Sometimes the balls pop out but you can just pop them back in. I keep it filled all winter and then clean it and store away in the summer. Very easy to use! Love it I have 2. One for lotion and one for my Bio-freeze. I use it for lotion. Sunscreen and my Bio-freeze for my arthritis. It works awesome. It works as it is supposed to and gets the job done. I need lotion everyday on my skin, with this tool I don't get to much lotion all over my legs and arms and feets. Just enough Go on my body. I use it after a shower to lotion my back. I have very dry skin and this applicator has been wonderful. Makes back feel so good. i bought this for my husband and he ,lloves it. 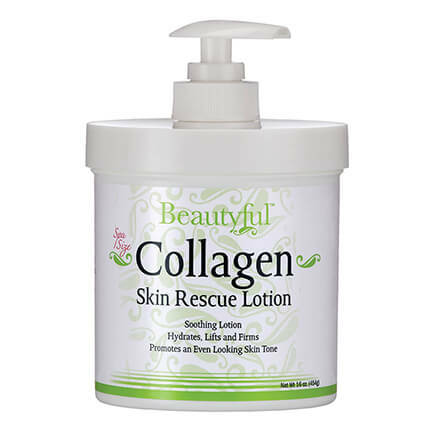 It is great for applying lotion or medical creams to your back when you don't have someone else around to help you. I love this product, now I don't have to ask my family to lotion my back every time I shower. Owned this product for many years.Love that I can put lotion anywhere on my back.Easy to use. Cannot believe this product actually works!!! Great when hubby is not around to put lotion on your back. Also makes applying lotion to rest of body quick to do. use it to get to my back and legs. 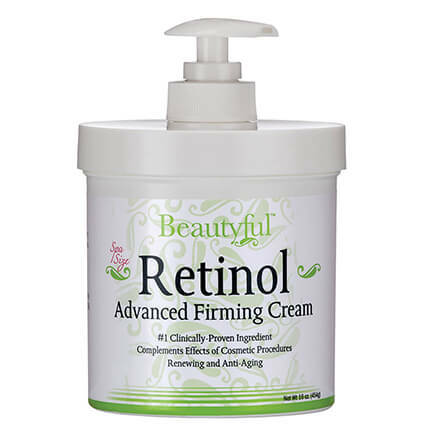 I use this to apply my Rx pain cream, love it I can get all my cream where I want it. Length limits portability somewhat. But that is also what makes it work. All my life I have had extremely dry skin. To keep from itching all the time, I have used lots of body lotion. I have tended to put too much on. 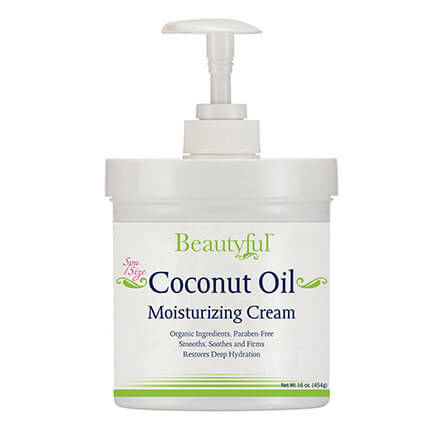 I keep this by my bed and use it on my arms and back before going to bed each time and then as I dress in the morning. So easy to use and puts just the right amount of lotion on my skin. This is perfect for your back. In the winter, my back gets dry & scratchy from the heat & hot showers. This works perfect in applying lotion to my back & it is not messy at all! I ordered one & then hadto order another one for a friend! I have one and love it. My sister has dry skin so I am getting her one! To be able to put lotion on my back. I picked these items because they will make my life easier. I was not able to get the free shipping as advertised!! I've had two before - nice way to add lotion to your back. Wished they lasted longer - balls do fall out eventually and won't stay in...but still a useful item. I cannot reach my back to put on my lotion...now I can! Have purchased in the past and it works great. When you live alone you can't reach every place. Miles Kimball only place to buy one of these. I need to apply lotion to my back and I cannot reach all over my back. We can't wait to try the body lotion applicator! Easy to order and fast. To make it easier to apply pain cream to my back. at 74 its hard to get lotion on my back, can't wait to get this! I have exema and sometimes need anti-itch lotion on my back and my hands can't reach the whole area. Because I use mine all the time and got a friend one too. Can't reach my dry skin on my back and my husband isn't always handy. My husband is older and thought this would be easier to reach his back when putting lotion on it. I live in a very dry climate. I am anxious to see if the lotion applicator works for moisturizing those hard-to-reach places on my back! I have dry skin because of diabetes, and it is hard to reach my back, and it would be nice to have something to be able to help with that. it works great for after showers . I can reach every where I need. need this badly. Due to several surgeries, I can't reach much of my body. I bought one for myself and liked it so much I decided to buy my sister one. To make putting lotion on our backs easier! My back is always dry. I have no one to put lotion on since my husband had a stroke and I cannot reach. So am going to try this tool. I always need lotion on my back. Can't wait to try! I need to put lotion for pain on my back and can't reach it. 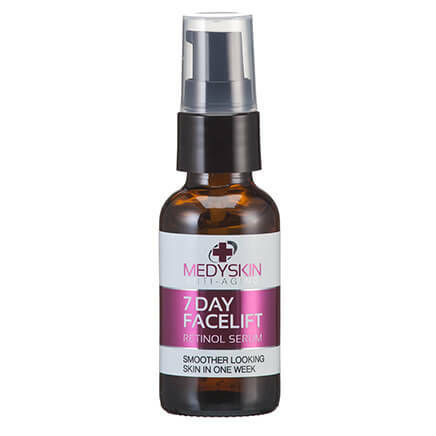 I had a full hip replacement recently and this looks like it will be very helpful in applying lotion to my leg, as I am not to bend over very far. I was happy to see it in your catalog. I found it to be easy to use and haven't noticed any scratchiness.